The Heart Walk is just 10 days away and excitement is building…the Dos Pueblos drum line (of which Wilson is a member) will be helping to kick-off the festivities, the birthday cakes have been ordered, we’re very close to our fundraising goal and Team Rudy is ready to walk! 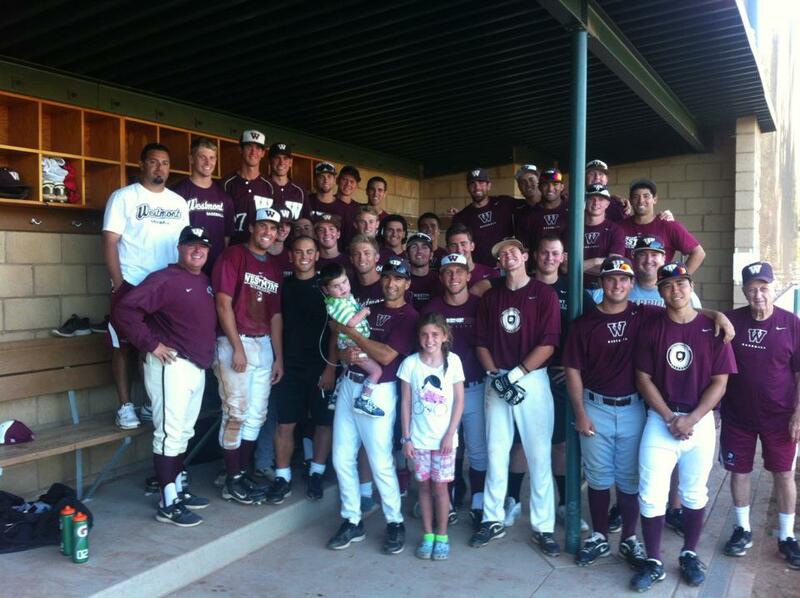 And we’re not the only ones…we had the fun opportunity yesterday of meeting the Westmont Warriors baseball team. This group of impressive young men has formed a Heart Walk team of its own and we thought introducing Rudy to the team would help put a local “face to the cause”. 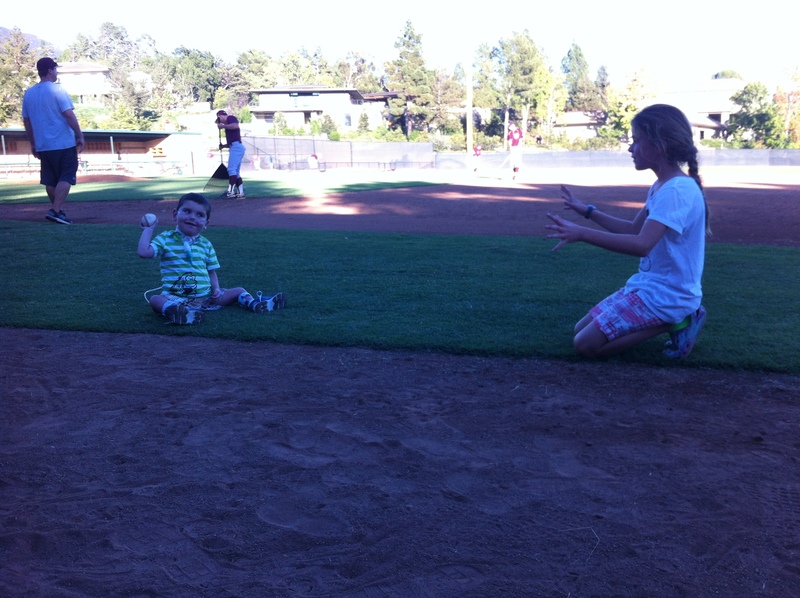 It was such a neat time and the “big baseball guys” were very sweet to our little warrior. Honorary “Team Rudy” members! Go Warriors!! Rudy’s got quite an arm! It just so happens that Rudy has been doing a little preparation of his own…check out the workout he’s been getting at therapy the last several weeks! Rudy getting a round of high fives from some of the gals in the county education office down the corridor – to which he WALKED!! Previous Post Rudy’s Early Birthday Present! This is just miraculous – all of it. Thanks so much for putting these videos up, Trish – wow, wow, wow. 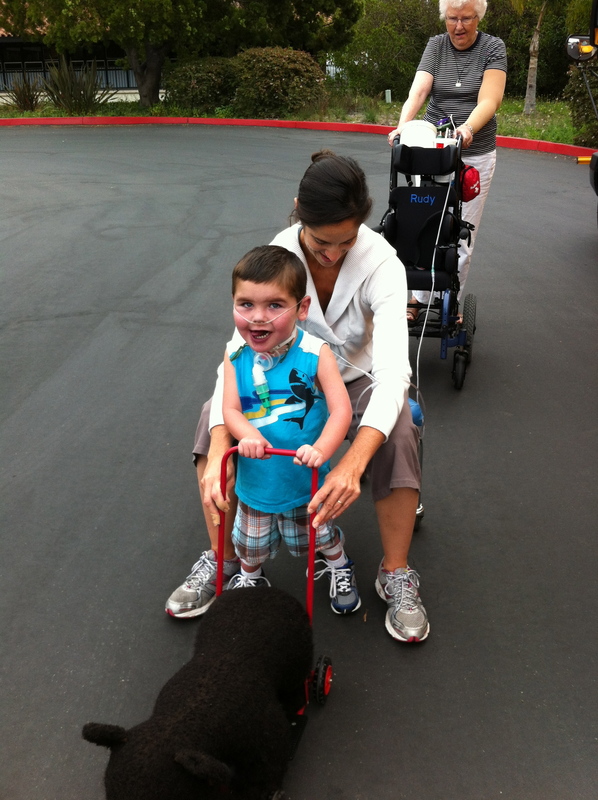 yippie, our little miracle boy !!!!!! Huge milestones!!! So excited!!!! I loved hearing Olivia and Rudy sing too!!! You cannot know how thrilled I was to watch those walking videos! Way to go, Rudy!!! 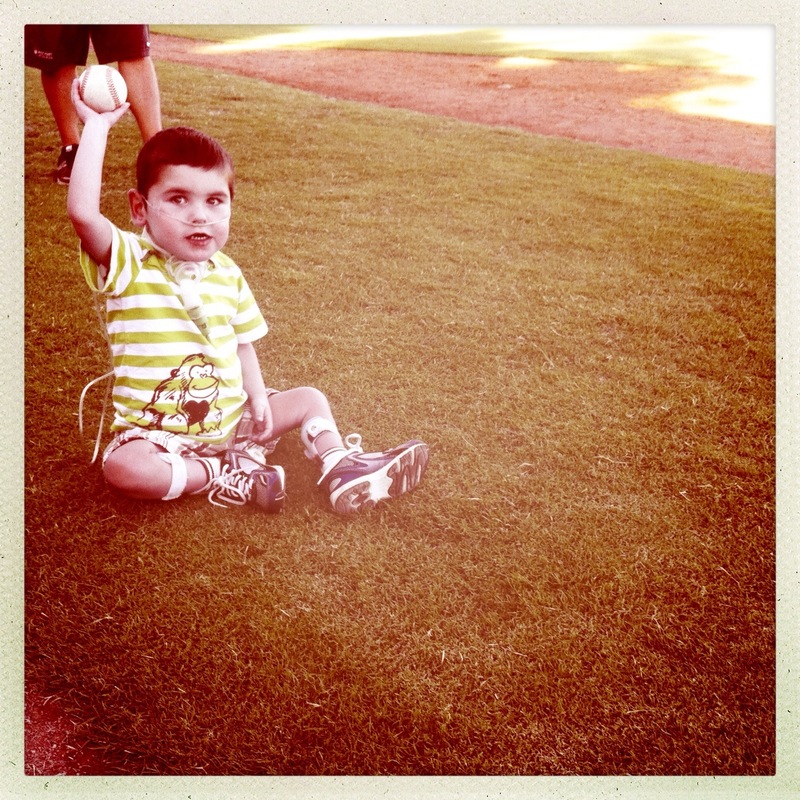 You are an amazing little guy! Rudy, you are an amazing guy from a totally amazing family!! Prayers for all of you! So awesome to see Rudy walking! Way to go, Rudy! You’ll be r-u-n-n-i-n-g with those siblings in no time! What an awesome treat to see you walking! Such a sweet, sweet boy with a kind and sensitive heart! Love and hugs to all of you! I watch that walking video over and over and over. I cry every time. Rudy: I am SO excited for you and the big smile on your face! I LOVED Olivia singing with Rudy! One of the most precious moments I have ever seen on here. Go Olivia, for being the best big sister in the world! Awesome Mr. Rudy and Rachel – great job! So happy and proud of you Rudy. I miss you! !